Previously it has been presented actions to be conducted to tackle the "serving-hatch" feeling from Service-Desk agents. Among these actions there are the positioning of Service-Desk and its empowerment in order to give the suited level of recognition. In this article astuces will be discussed on how to break the routine - which is a cause of disenchantment - and also about how to use performance indicators to value their contribution. 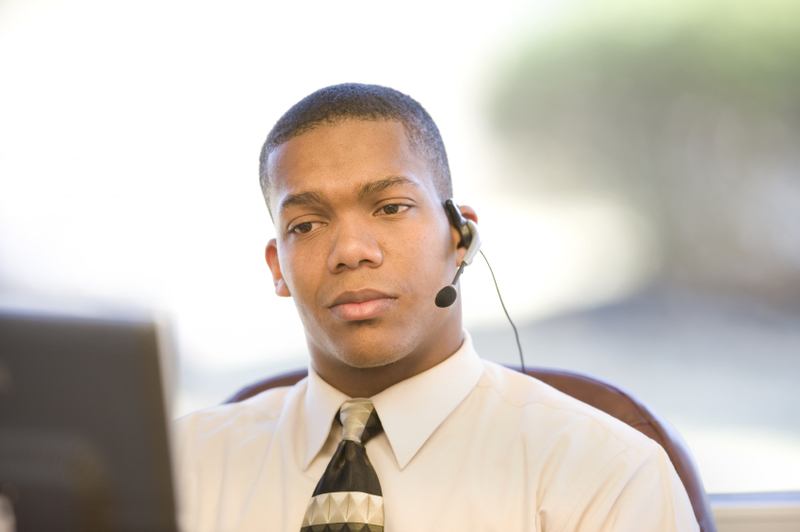 What Service-Desk agents suffer the more is the daily routine and the restricted scope of their interventions. If the nature of their tasks is too repetitive, it will be difficult for Service-Desk agents to keep interest on their job only by a good recognition of their excellent customer relationships. Without a minimum of diversity in their day-to-day tasks, an erosion effect will be felt faster than in a diversified environment with an extended scope of interventions. Up to now, this article has much more insisted on relational and commercial missions of the Service-desk. It is not least true that increasing its online Service-Desk solving rate of incidents brings a great benefit to the company. The call handling cost is cheaper and the response time faster then Level 2 support groups, due to industrialized procedures and agent’s availability to respond. The end-user’s productivity is more likely to be improved and the management cost will be diminished as well. Enterprises would be wrong to not take advantage from it. The extension of the Service-Desk intervention scope is a diversification salutary for Service-Desk agent interest for their job. This reduces the feeling of being useless (previously discussed), but should not make lose the central focus on the main value for end-users, such as keep business interests above the quest for technical expertise. Follow-up functions (cf : responsible for call-again and escalations) are an opportunity to vary the daily routine of the Service-Desk agents. Above a volume of calls (generally above the 200 calls per day), follow-up functions can be done by dedicated actors. It is not easy to doing “ chasing-up” (call-again) and escalations on all ticket overpassing SLAs limits - or even better before - by the same SD agents handling inbound calls without being caught into the overwhelming flow during peak times. Therefore, one solution is to organize this function separating front-line and back-line tasks. The front-line is in charge of inbound calls. The back-linee is in charge of call-again and escalations to Level 2 and 3 support groups. It could be responsible for outbound calls towards end-users to inform them about requests/incidents achievements. Since this 2-poles organization is in place, actors can easily alternate their job by weekly turns; moving from high pressuring inbound calls handling, focused on online qualification and 1st level resolution, one week; to a more perspicacious job tracking for answers and SLAs compliance from technical support groups, the following week. In order to make it even less boring, it is possible to dissociate resolution groups by request nature. For instance, above a certain amount of calls (high volumes) it worth to dedicate Service-Desk agents to handle only incidents handling separated from Request fulfillment. This distinction is justified by the difference of priority and of expected reactivity to each nature of request. This separation can easily be managed through a Interactive Voice Response system. This leads to create separated functions inside the same organization, which could be alternately distributed (ie. On a weekly basis) in order they keep Service-Desk agents away from routine while sharing the knowledge with all of them. Other activities can also provide a diversification of the Service-Desk day-to-day job. Depending on its range of skills, other back-office functions can be split in small specialized teams, such as access rights administration (when Access request fulfillment is given to Service-Desk), or such as end-user settings (for mailbox, personal storage, etc. ), batch scheduling on demand, monitoring functions, etc. Service-Desk actors can vary their activities from one week to another, breaking with the routine and escaping from mood deterioration. Managers of a company, at all levels, should demonstrate the importance they give to the Service-desk role. They do so by demanding performance results based on customer satisfaction. They have to control these performance goals are achieved - or that improvements are made - so that stakeholders can feel the very importance given to their role and to not get the feeling that their management is far from their actual achievements. In order that nobody miss the point, these expectations and controls must be institutionalized (through meeting, reporting, rewards) and should be really part of priorities anchored within the organization culture. First thing, Service-Desk performance must be permanently measured through sounded indicators and give place to a regular, shared and awaited reporting. Indicator choice should be based on what has to be really improved (it sounds obvious but it is not always the case). For instance, if performance is only measured on call hang-on and/or resolution rates, only logistical and technical efforts will be considered and encouraged. It is essential to give a genuine importance to indicators measuring quality and assiduity in follow-up activities and as for quality of information communicated to end-users. This could be achieved through randomized survey. The top of the top will be to express Service-Desk performance (as for the whole IT support organization) employing the same language as for business results, using measurement units meaningful to end-users (such as business outcomes enabled, for instance). Second point, managers should design spaces where reported indicators are analyzed and explained. This could be done during meeting with performance review agenda (Service-Desk performance review, or Incident Management review, etc. ), or during one-to-one interviews (for personal review), etc. Results should also be discussed during annual meeting such as kickoff or seminar, where the importance of these indicators can be emphasized by senior management, and accentuate the message about the importance or Service-Desk performance. All excuses are good to highlight these KPIs. Without giving this importance, a risk of deviation will always “plane” and provoke previously mentioned consequences. Wages are always a sensitive topic. The challenge of management is to follow the logical evolution of wages according to efforts done, while keeping into the financial leeway permitted by the results of the company (of course). However, in order to keep dynamics up and keep Service-Desk agents involvement, salary gaps with other support groups cannot stay too big. Generally, wages for Level 1 positions are the lowest within an IT support organization (compared to the level of specialization of L2 and 3 profiles). This could perfectly be justified (and explained) for a new hired agent due to lower level of education required at the beginning (often lower than Master I or II level). However, since experience is acquired and the performance achieved, the remuneration scheme and its evolution should encourage Service-Desk agents to persevere in improving, and not dissuade them. This would be really consistent with the big picture of Service-Desk and the improvement objectives.